Wow, it's literally a sticky in this section of the forum! How'd ya miss that?! This site has got a ton of good stuff. Everything from LEDs for under cabinet lighting or motorcycle lighting to power outlets, helmet speakers, bluetooth stuff, etc. I use these on my bike, they are nice and very visible. I have ordered a ton of stuff off this sight. Just ordered a helmet brake/turn signal light. If you do you will need a new flasher can that is LED compatible. I have an integrated LED tail light and lED flush mounts. All up cost about $100- and a bit of time. Been on the bike for about 18 months or so and no problems! Edit: It seems as though Watsen has stopped production of Honda flush mounts, sad as I just got mine, guess I was in the last order. Last edited by UCF Eric; 02-10-2015 at 06:58 PM. 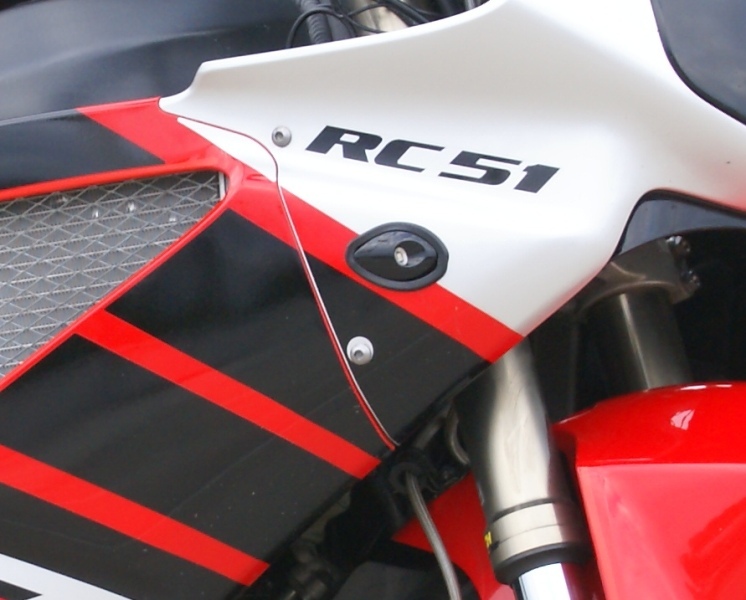 If you go to their products page, it says the RC51 has been stopped. I haven't mounted them up yet, longer studs are on the way. Mine are the same as below. Quick Reply: FLUSH MOUNT TURN SIGNALS?